Discover the land where the mountains meet the sea, follow twisting roads up into the hills, swim and sail on unspoilt lakes and inland water. Explore mountain tracks and riverbanks amongst some of the most spectacular scenery. At Dinlle Park you are assured of a very warm welcome. Dinlle Park is a short walk away from a long stretch of sandy beach where the water is clean, clear and blue. Here you are at the gateway to some of the most magnificent scenery in Wales. Dinlle Park has its own heated outdoor pool surrounded by an ample sunbathing deck, equipped with loungers, table with parasols and chairs. Our Lounge bar and family rooms have been extended and refurbished to provide an extremely comfortable and relaxing environment in which to make new acquaintances and renew old friendships. Dinlle Park is situated on acres of flat grassland so there is plenty of room for even the largest family groups to spread out comfortably. Our facilities for touring visitors are of an exceptionally high standard; the majority of our pitches have electric hook-up and are large enough for awnings. Toilet & Shower blocks are of the standard expected by the discerning touring visitor. Local attractions: The historic town of Caernarfon and its majestic castle, National Trust properties of Penrhynn & Plas Newydd, Sea Zoo on Anglesey, Beaumaris Castle and Gaol, Air World at Dinas Dinlle. 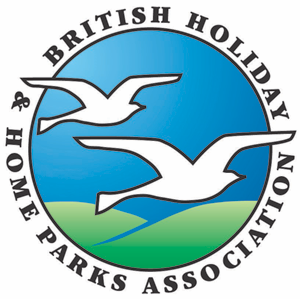 Friendly busy caravan, tourer and tent park. Beach 100 yards. Nearby historic attractions and Snowdon. Fully equipped hire caravans, ehu. Comfortable club, entertainment high season. West 5 miles from Caernarfon on A499 turn left for Dinas Dinlle along beach 200 yards turn right.